There is a wide range of standard Shop Floor Control reports. Custom reports are always available as well. Labor Efficiency - A detailed report that displays quantity completions, efficiency and utilization. Backflush Shortage - Displays material with insufficient inventory to backflush. Backflush Transaction - Displays material that has been back flushed from inventory. Completions by Employee - Displays quantities completed and scrapped by employee. External Inventory Transactions - Displays transactions that were interfaced by an external inventory or ERP system. Material Issue - Displays material issued by work order. Quantity Completion - Displays work order completions and deliveries. Scrap - Displays quantities scrapped by work order. Sub-Contract - Shows quantities planned, shipped, and received from sub-contractors. Work Order Status - Lists the current status of work orders that are not closed. WIP(Work -In-Process) Tracker - WIP Tracker, is the serial WIP module of GBMS. It offers an automated way to monitor production, enforce routing, generate and maintain serial number labels, and capture quality and repair data. For greater accountability, each transaction is recorded with the operator's ID number and time stamped. This computerized WIP system replaces much of the manual and keyboard record keeping process and allows precise, up to the minute information on every work order, lot, and part at each stage of production. WIP Tracker also collects information about products that prove to be defective. Defect description codes and destinations are recorded for all defective parts. Operations Carried Out In the Production Process. Operations Disposition Codes That Determine Routing Of Items. Test Code and Repair Codes Being Used. Who the Employees Are That Are Assigned To Use the System. The Operations That Follow A Fixed Sequence. The Defect Codes Being Used. Information can be entered at the keyboard or transferred from an existing system using file transfer utilities and the Import/Export capabilities of the system. The Print ID function prints the next available serial number for the product being manufactured. The system can assign serial number by product or assign from a system wide serial number. The Move-In function tells the system that a serial number has been moved into a manufacturing operation. This number will update Serial Status File and Serial History File. This function will also validate whether an item is allowed to enter this operation by virtue of the Routing File. The Move-Out function indicates the move out of an existing operation and into the next operations queue. This function will allow the system to identify bottlenecks. This feature can also "auto forward" the piece into the next operation instead of its queue. The Move-To function allows an authorized user to bypass any predefined routing for a part. The Test function is the record test for each serial number. This will record the data in the Serial Test File. The Status function is a powerful function that allows the user to specify the disposition of an item from one operation to the next. This function is especially useful after test operations. For example, if an item fails a test its disposition will be to Repair instead of the next production operation. If the item is moved to the next operation by mistake, the data collection terminal will warn the user during the MOVE- IN function. The Repair function captures the repair and/or defect codes for historical analysis. The Assemble Function allows scanning of subassembly to associate it to the main assembly. The information captured will be stored in the Serial Assembly file. The Group function will allow you to group a number of modules or assemblies in a common container or rack and associate them to the container's ID (license plate). This makes it possible to move groups of items with a single scan. The UPD-ASSM function allows for the replacement of a subassembly component. This is particularly useful when a component is identified as defective and needs to be replaced subsequent to an ASSEMBLY operation. The Print-Ship-Label function prints shipping labels for finished goods. The ship function will mark an item as shipped and remove its record from Serial Status File. The Configuration function will configure a data collection work station and updates the Work Station Profile with such information as Operation Number and Device Address. Track each serial numbered part through the production process. Pinpoint production bottlenecks and improve production visibility. Print bar code labels and bar code menus automatically. Create routing files to automatically route items through manufacturing operations. Monitor routing files to determine if each serial numbered item is being routed in the right sequence. Accept test and repair information and retain for future analysis. 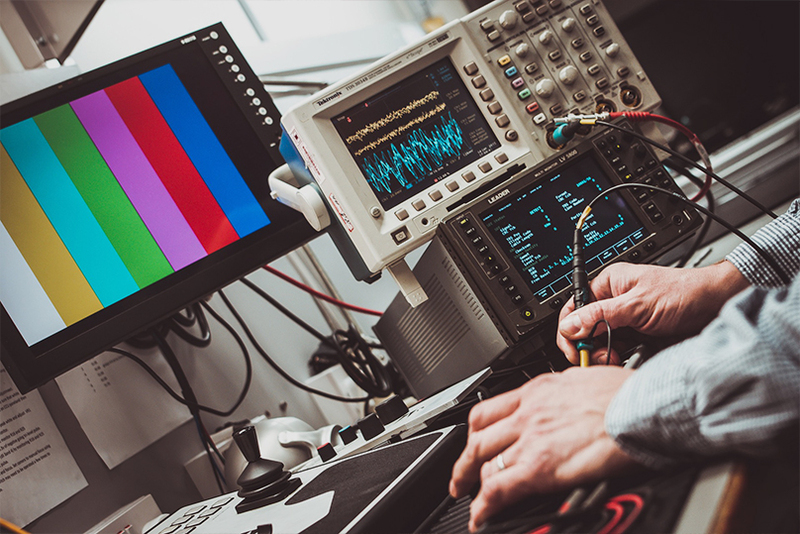 Define test and repair code specific to your operation. Reject invalid transactions and present error messages to the system supervisor. Print reports on the status of a serial number. Print reports on the complete history of a serial number and all of the operations it has gone through.